Homes around the UK are already starting to flick the heating switch, making it the hottest time for utility companies to make their mark. What can they do to bring more ROI to their PPC campaigns? Energy costs are rising, and consumers (both households and businesses) are subsequently paying higher bills. 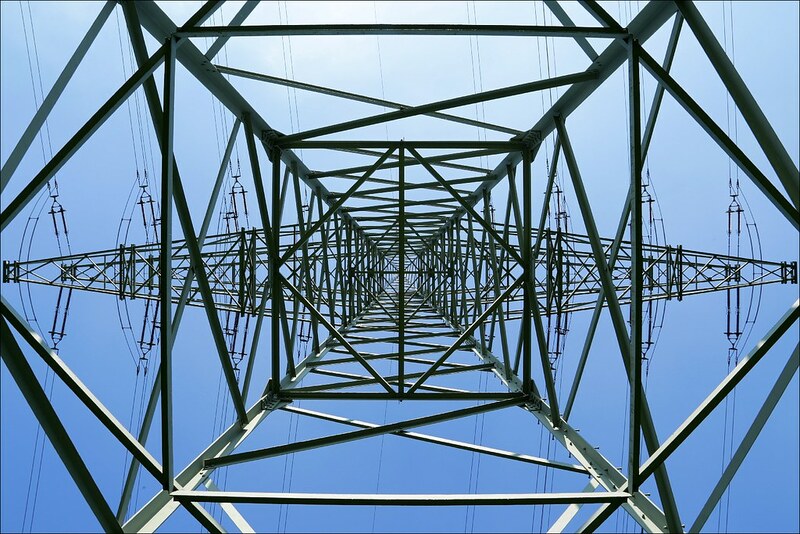 With general elections on the horizon, energy is again the topic of the day. The Tories are promoting laissez faire, encouraging utility companies to decide how to set prices on their own, while Labour is promising to freeze energy costs. In the midst of it all, the utility companies see challenges in attracting and retaining customers. With the industry threatened by the potential of a Labour-mandated cut in revenue, the importance of alternative revenue streams has never been greater. Given that, we ask both where the companies should direct their marketing efforts in order to stay ahead of the competition and how the politics might sway their respective PPC policies. Why the Higher Cost of Energy? Electricity and gas are commodities just like any other, and their prices depend on many political as well as market factors. Political parties often use the fluctuations in price to attract voters during elections. The Labour Party says they will freeze energy prices for 20 months if they win the 2015 general elections. In manipulating the energy market, however, the state could drive suppliers into a race to the bottom price. Just as importantly, as the country moves towards a low-carbon economy with a 2020 goal of a 15% share of renewable energy, it must find the funds for green energy production. If npower’s prediction about the increase of the regulatory load payable by consumers in 2020 proves accurate, heating bills will swell more due to taxes and fees rather than the cost of energy itself. And when these climate change levies drive up utility costs, the sector itself dramatically changes. In fact, npower’s graph shows that utility companies’ share makes up a small portion of the whole price pie: energy suppliers only receive around 16% of an average domestic bill, and a great deal of it will be used to cover the costs of implementing the government’s smart meter programme. A mere 5% of energy bill goes to the supplier’s profit margin. In light of this potentially unfavourable economic environment, it is easy to understand why utility companies need innovative, efficient marketing strategies and PPC campaigns coupled with smart budget distributions. Focussing on specific trends in the market, they can do a lot to maximise their marketing efforts. With so much fuss about electricity and gas prices going up, excessive tariffs, and tight budgets, utility companies must focus on the aspects of a commodity that are marketable: transparency of prices, innovative technology, and green, cost-effective products. What other measures can they apply in order to beat the rest? With intense competition in the energy supply market and Google’s constant efforts to improve its paid search algorithm, UK utility companies need to spend advertising money economically by devising smarter, more productive advertising strategies. As PPC is no longer just about the bid price, utility businesses must consider carefully the most relevant keywords related to the forthcoming heating season and be careful to bring users to the most relevant landing pages. This means the keywords selected for a campaign should be closely related to consumers’ search criteria and needs. More specifically, companies should focus a substantial slice of their budgets on key services. Including variations of major keywords would hardly bring any efficiency to the campaigns, as it will deprive them of focus and might reduce ROI. Besides, in order to optimise their efforts, they have to differentiate business and residential customers by separating their campaigns with keywords highly relevant to one or the other group. Led by their intent to keep users connected to the content they are seeking, Google is constantly introducing innovations to their AdWords algorithm. Utility companies can make the most of one of the features introduced last year, ad extensions, which now plays a major part in ad rankings in the SERP. Ad extensions allow advertisers to link to up to six additional important and relevant pages (such as contacts, special offers, and others) on their websites. It can help utility businesses boost their PPC spending by including additional information, which can increase user engagement and result in better visibility on search engines. Utility, heating, and gas-related services are serious investments. That’s why consumers usually research the market extensively before they purchase a boiler, loft insulation, or green product. The same attention to detail applies when customers switch their electricity supplier. In a market of hesitant buyers not easily persuaded by a single impression before moving to a purchase, retargeting can help to get the conversion in the end. Dynamic retargeting can increase ROI, too, as it gives instruments for targeting visitors that have already seen your products, but, for some reason, didn’t purchase. Retargeting can also encourage satisfied customers to revisit your website and make additional purchases, helping you to retain and turn them into loyal customers. Remember to place ads that target additional purchases into separate groups,taking into account that they aim at attracting customers that have already chosen your brand. With every heating season comes more or less the same search for products and services. Knowing their customer needs well and having experience with annual campaigns, utility companies can easily enhance their PPC campaigns by performing A/B split tests between successful campaigns and fresh ideas. Test the ads that worked best for your campaigns last year along with the new ad groups. Perform daily A/B tests in order to create more effective results, choose more relevant keywords and keyword combinations, link to better landing pages, and, as a result, attract new visitors to your website. Severe competition and tight profit margins sometimes drive companies to use grey-area “strategies” such as brand name abuse. Bidding on your competitors’ brands during the heating season might seem tempting and will probably bring some fleeting profit to the campaign, but don’t do it! If, on the other hand, you believe that your brand is used by competitors, make sure that you know who it is and how they are using it. Tools such as Adthena’s automated Brand Monitoring Reports provide valuable information and evidence about competitors applying illicit strategies, allowing you to consider an adequate and timely response. Although PPC has clearly earned its status as a powerful marketing tool for British utility companies to incorporate into their broader advertising strategies, not all of these businesses make the best use of it. And despite the cut-throat competition amongst those currently advertising, additional players have yet to join in the game. There are now a few questions to consider. What will happen when most utility companies start advertising on AdWords? Will their collective ROI will increase as a result? And what if political manoeuvrings do end up raising the costs of electricity and gas? The sector will clearly have to restructure – but will this portend cuts or raises in funds for PPC? The answers to these questions will come with time for more companies to join the PPC game, as well as with the results of the 2015 elections.